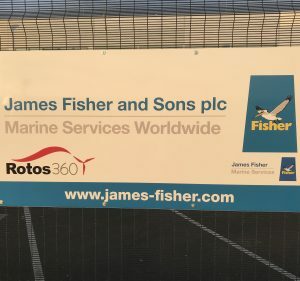 Image: Grimsby Telegraph/Humberbusiness.com The official opening of the James Fisher Marine Services, on the North Quay, on Grimsby docks. Fergus Graham, (l), executive director of James Fisher Marine Services with Julian Garnsey, project director for Triton Knoll and innogy. Work due to start in Spring 2019. 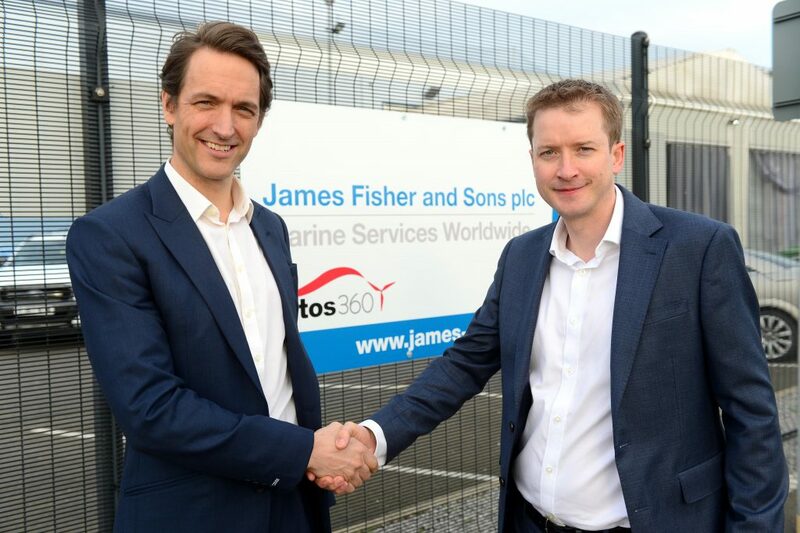 UK firm James Fisher Marine Services (JFMS) has been awarded a significant contract by innogy’s Triton Knoll Offshore Wind Farm to begin offshore site preparations this Spring. The Triton Knoll Offshore Wind Farm site is located more than 32 kilometres (km) off the Lincolnshire coast and consists of an offshore construction site of over 145 km2 – bigger than the city of Manchester1. JFMS’s role will be to investigate and clear locations, where earlier site surveys have identified potential obstructions to construction such as unexploded ordnance (UXO) and boulders. The works will utilise a number of vessels and expert crews in parallel with a number of east coast ports including Grimsby likely to be involved. The contract is critical to the safe and efficient installation of the 90 turbines, two offshore substations and miles of inter-array and export cables that make up the 857 megawatt (MW)2 wind farm, the largest in the innogy portfolio.